Ever since Roger Martinez (in collaboration with Secret Cinema) released the ‘Menthol Raga EP’ back in May 2013, there has been a wondering about when he might return to Lost & Found. Guy J has been keeping the lid on this doubleheader from possibly one of Holland’s finest electronic artists for some time now, but now it’s time to unveil ‘Downriver’ and ‘Trans’. 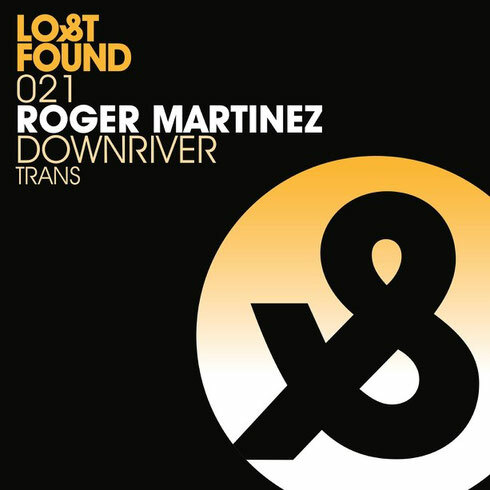 Roger Martinez firmly believes that music can affect people on a deeper, universal, emotional level and thus can unite people, and the hypnotic feel of the tracks shows he is possibly a producer who is capable of taking music to a higher level. Roger strives to go beyond genres and formats and approaches (dance) music from an emotional perspective, an approach that has seen his apparent quick rise to become a name to watch out for. ‘Downriver’ is a statement of intent from an artist whose broad interest in sound means he is equally at home creating music, as he is exploring vast ambient worlds of sonic emotions. The more percussive focused ‘Trans’ is equally as good. The EP is out now, check it below.